I bought myself a grill pan at the weekend and I cooked this up. 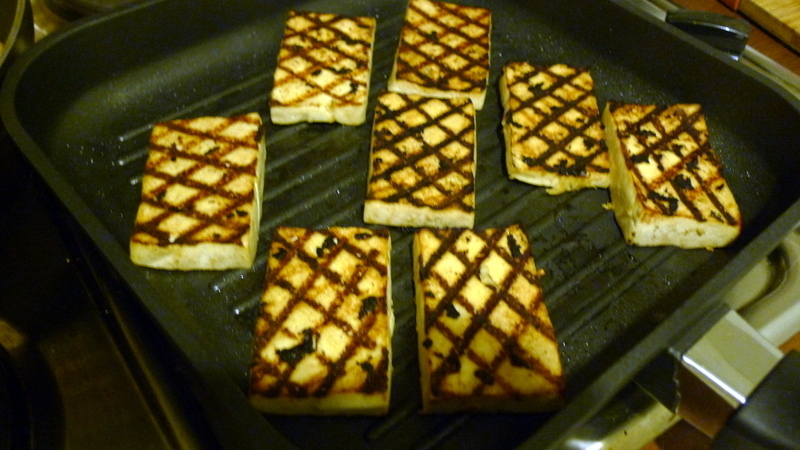 I pressed and drained the tofu for 10 minutes and then it was just marinated in mirin, garlic, ginger, soy sauce rice vinegar and thrown on the grill pan. 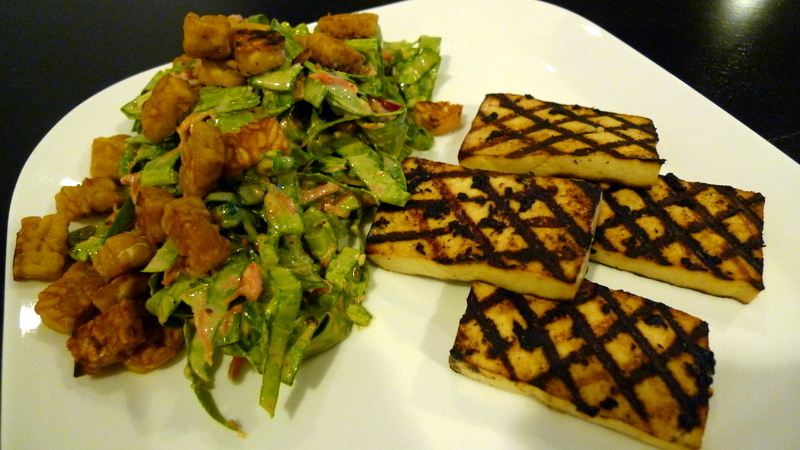 The intense heat really dried out the tofu and made it really chewy. I served it with kale salad. MAKE THIS KALE SALAD… It is a total winner. ← Banana Date and Walnut Muffins.